Coco Chanel loved an elegant pearl necklace and used to say that a woman needs ropes and ropes of pearls. Federico Fellini thought that a pearl is the oyster’s autobiographical art. No matter how you look at it, pearls have always been the topic of fascination and desire for people. 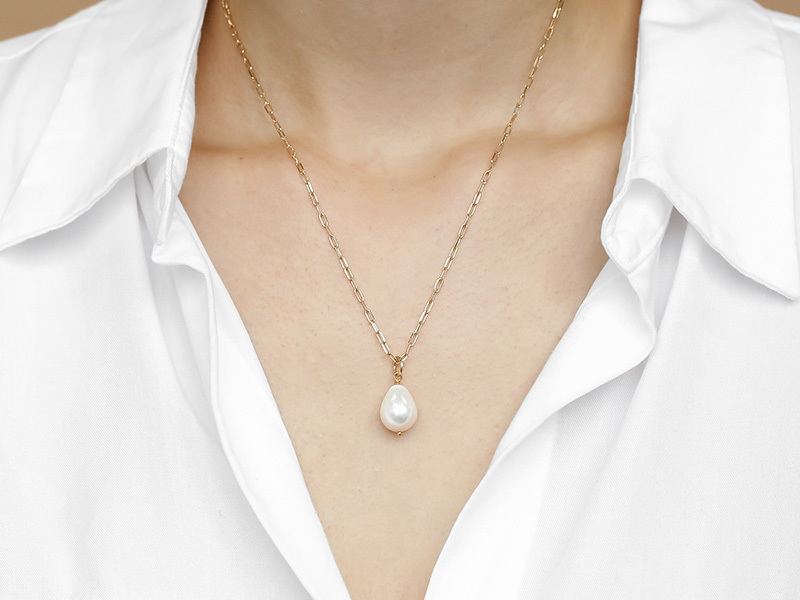 Its elegance, rarity and amazing look make a pearl necklace a must-have item for any stylish woman. But how much is a pearl necklace? You can pay $25 for a strand of pearls or you can end up paying $50.000 or even more. This happens because there are many types of pearls out there, from natural pearls to cultured ones, from saltwater to freshwater pearls. Unless you are a jeweler, it can get difficult to know all the differences between pearl types. But don’t worry. We have put together for you a great explanatory guide so that you know how much your anniversary necklace or Mother’s Day gift will cost you. There is a common misconception among people that cultured pearls are not real. Trust us, they are real and almost any pearl beaded necklace on market is made of cultured pearls. Experts grow the pearls inside oysters at specific farms. They surgically implant a tiny shell bead with a small piece of mantle tissue. Around the bead, the oyster will secret the substance pearls are made of (the nacre). You should also know that there are millions of oysters every year, but only 5% of them actually produce high-grade pearls. Pearl farmers select each pearl manually and only a few of them make it to the market. Wild pearls, on the other hand, go through the same process except that nobody implants a shell bead inside them. Fishermen find them by accident and it may take 10.000 oysters to find a good quality pearl. And since we are talking about the price, only a handful of collectors have natural pearls and a wild pearl necklace can cost over $1 million. We know you love your mother, but maybe you should consider a cultured pearl necklace as a Mother’s Day gift. 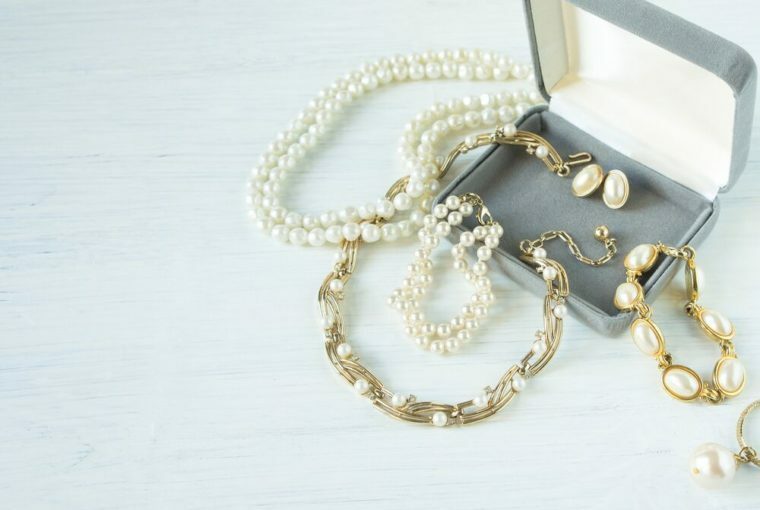 So, unless you are sleeping in a castle made of money and can afford to buy a wild gold pearl necklace, let’s talk about cultured pearls and how much you can expect to pay for a beaded necklace. As the name suggests it, freshwater pearls grow in freshwater oysters. They are the most common type of pearls, but they are very versatile and affordable. Usually, a freshwater pearl has somewhere between 6 and 10 mm, but it can reach as much as 15 mm. Their color range from pink to white and lavender and their shape can be round, button or baroque. A pearl necklace made of freshwater pearls is perfect for any occasion. Usually, the price of a freshwater pearl necklace ranges from $50 to $1500. Ayoka pearls represent the classic pearl necklace. They are cultivated in saltwater and are harvested from the Ayoka oyster. These pearls were the first ones to be farmed and are known for their perfectly round shape and elegant luster. They are smaller than freshwater pearls, with sizes ranging from 6 to 9 mm. Usually, an Ayoka pearl necklace costs between $70 and $3,000. Another thing you should know is that pearl sellers may try to market freshwater pearls as cultured pearls, while this type simply as Ayoka, leading you to believe that Ayoka pearls are wild ones. As we said before, almost all pearls on the market are cultured pearls. Also known as the black pearls, Tahitian pearls are the most exotic type due to their color which can vary from charcoal to dark green, aubergine or even silver. Tahitian pearls are the only pearls that achieve a dark color naturally and their size ranges from 8 to 14 mm. If you are planning to get your wife or girlfriend an amazing anniversary necklace, a Tahitian pearl necklace is the way to do it. More expensive than freshwater and Ayoka pearls, the price of a Tahitian pearl necklace can vary between $300 and $18,000. This type of pearls is the largest and most valuable on the market. Oysters in Australia, Myanmar, Indonesia and Philippines produce South Sea pearls. Their color ranges from light silver to beautiful dark golden tones. The dark golden pearls are the most valuable and rare ones. When it comes to their size, the price of a strand of South Sea pearls can vary between $800 and $50,000. All these price variations that we mentioned depend on several factors, such as the pearl shape (the round ones have usually a higher price), its surface (the cleaner, the more expensive), its luster (a high luster means a higher price) and its size. 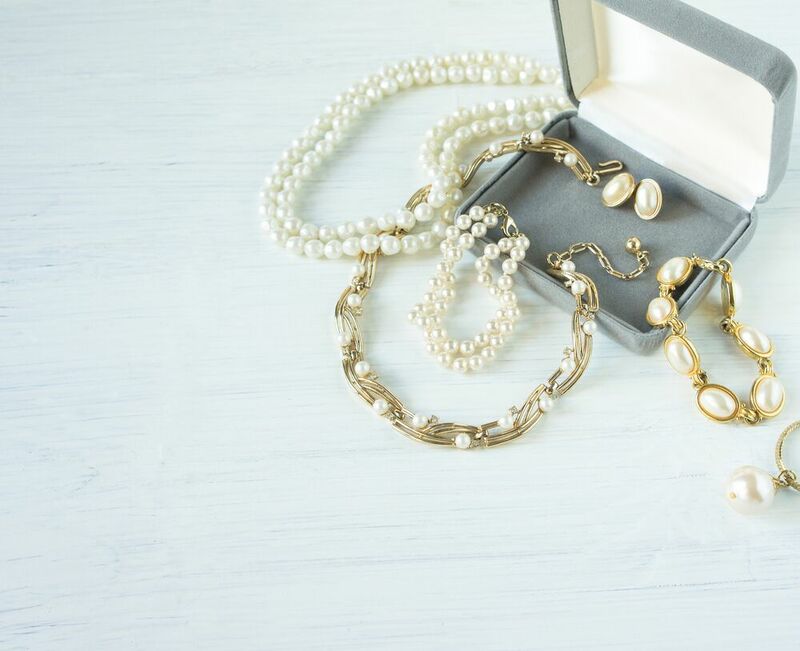 If you are looking to buy that perfect anniversary necklace or a fantastic Mother’s Day gift, then you can never go wrong with pearls. Depending on your budget and preferences, we are sure you will find a pearl necklace that you will love.